The injury attorneys at Latti & Anderson LLP have over 50 years of experience helping those injured at sea and on land. While maritime accidents cause life-threatening injuries, accidents that occur on land are just as serious, and whether you are injured on land or at sea, we have the experience necessary to get results for catastrophically injured people. If another person´s negligence caused your injury, you may be entitled to compensation for the damages you have suffered, including lost wages, medical expenses and pain and suffering. We also handle wrongful death cases, helping families grieving over the loss of a loved one obtain a measure of compensation for their loss. 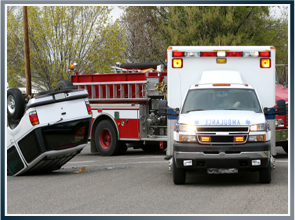 If you have suffered a serious injury in an accident on land, you may be entitled to compensation from the negligent party for past and future medical expenses, past and future lost wages, past and future pain and suffering and mental anguish, continuing care, loss of consortium and loss of society. Our injury lawyers have the experience, knowledge and trial skills to make sure you recover the money you need to support your family. Contact our office today to schedule an appointment; there is no charge to meet with us, and if we handle your case, you will not pay us unless we recover money for you. Call to talk to a lawyer today so we can answer any questions you have and start helping you as soon as possible.